A few months ago we looked at what we considered to be the ten biggest handset disasters of all time. Well, there's no shortage of devices that failed in the market, either because they were ill-conceived, weird or just too far ahead of their time. Nokia's one-and-only commercially available MeeGo handset, the Nokia N9 is actually a pretty desirable bit of kit with a well-regarded operating system and a highly influential hardware design that was copied by Nokia's Lumia range and helped to popularise brightly-coloured plastics. Also available to developers only was the Nokia N950, a handset that is quite rare and is highly sought-after. The N9 represents Nokia's utter failure to come up with a home-grown rival to the iPhone. Coming two years after its predecessor, the N900, the N9 was too late to make a difference, partly because of a foolish decision to try to merge platforms with Intel. It was obvious even before launch that the N9 was going to be doomed, and even before it was launched in a few minor markets the project was killed, and Nokia went with the Windows platform instead. The bottom line? The world doesn't need another mobile phone OS, no matter how good it is. Buyer's guide: N950s are available from time-to-time, but are expensive.. prices range from €700 all the way up to €2300. Strictly speaking, they are all property of Nokia and were sent to developers only. 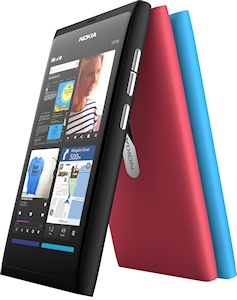 The Nokia N9 is more commonly available for between €260 to €330 depending on model. Nokia's first attempt at a touchscreen for was the Nokia 7700 which was a strikingly designed device, but it was far too big to be practical and features Nokia's infamous "side talking" system where you had to speak into side of the phone rather than the front. The 7700 was also crippled by a lack of memory, so that particular device was cancelled and replaced with the slimmed down and slightly upgraded Nokia 7710. 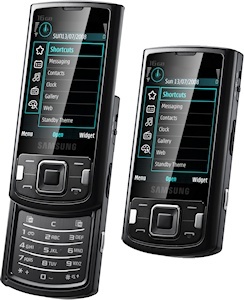 The 7710 lacked the essentials of 3G and WiFi, and consumers weren't really interested in touchscreen phones anyway. Instead of sticking with it, Nokia ditched the idea of touchscreen smartphones.. which was to prove a mistake. Buyer's guide: the Nokia 7700 is one of the rarest Nokias around with prices starting at about €700, but they are so rarely available that one could cost much more. The 7710 is a lot cheaper but still uncommon, at around €20 to €150 depending on condition. 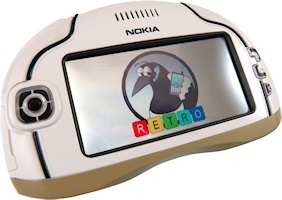 A handheld gaming console from Nokia, the Nokia N-Gage should have been a winner. But Nokia got it badly wrong - it was too bulky to use as a phone, too limited to be used for games - so it was never very popular. An attempt to improve the platform with the 2004 N-Gage QD wasn't much of a success either. Buyer's guide: there seems to be quite a lively trade in the N-Gage and cartridge games. Prices range from €10 or less to €30 for the handset itself. 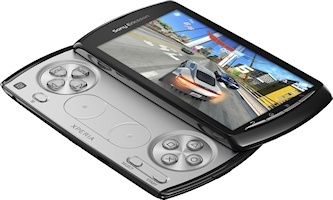 The lack of success for the N-Gage meant that there were no other high-profile phone/games console hybrids until 2011, with the launch of the Sony Ericsson Xperia Play. Where the N-Gage was underpowered, the Xperia Play was much more powerful (although hardly high-end). Despite this, the Xperia Play wasn't a success and no attempt was made to revive the format. Buyer's guide: officially the Xperia Play is stuck with Android 2.3 although there are some custom ROMs available with later versions. It is an inexpensive device on the second-hand market, typically coming in at €40 or less. 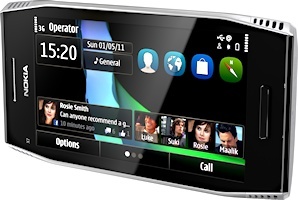 Sony Ericsson's Symbian swansong, the Sony Ericsson Vivaz featured a pretty unpleasant resistive touchscreen when almost everything else had moved to superior capacitive displays. The handset might have done better in 2008 than 2010. The Vivaz and its sibing the Vivaz Pro were commercial failures, and Sony Ericsson never made another Symbian handset after that. Buyer's guide: there are not many of these on the market, but those that are tend to be very cheap indeed. Sony Ericsson was a pioneer with Symbian touchscreen devices, but the Sony Ericsson P1i represented a step in the wrong direction for their P-Series of smartphones. Although in many ways it was superior to the original Apple iPhone launched at roughly the same time, the small stylus-drive screen and physical QWERTY keyboard were not the sort of things that consumers wanted. Buyer's guide: a quirky and quite interesting device, it also falls into the "rare but cheap" category of handsets that can be hard to find, but come in at less than €50 or so. In 2008 Symbian was by far the best-selling smartphone platform around, even though the iPhone was coming into its second generation. In order to try to get a slice of the pie that was dominated by Nokia, Samsung released the Samsung i8510 (also known as the INNOV8). A well-designed, well-engineered device with a good feature set it seemed like an attractive proposition, but it turned out that customers preferred their Nokias to be made by Nokia after all. Buyer's guide: like the Vivaz, this probably only appeals to collectors of non-Nokia Symbian devices, and it is another uncommon but inexpensive handset coming in at less than €30. 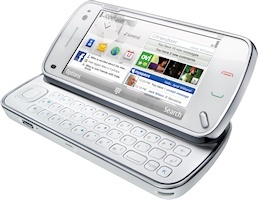 It should have been a winner - a touchscreen phone like the Nokia 5800 combined with a QWERTY keyboard like the Nokia Communicator, and a feature set that looked great on paper. 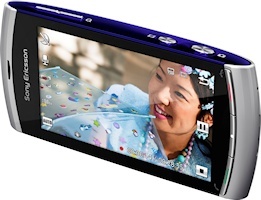 But the Nokia N97 was slow, buggy and had several design flaws that made consumers unhappy. Most of these were fixed with the rather better N97 Mini launched later in the year. But keyboards were on the way out anyway, and in retrospect the entire concept was not likely to be a winner. 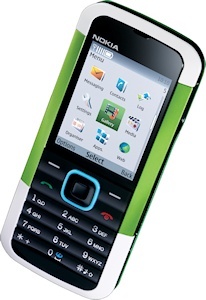 Buyer's guide: The N97 (in mini and non-mini versions) sells for around €25 to €50. Symbian had already been given its death sentence by the time the Nokia X7 was announced which led to a speedy collapse of that product line. The coffin-like design of the X7 didn't help either, although as with all late Symbian devices it is actually a pretty good phone. Consumers don't like buying into a dead end product, and the X7 was certainly one of those. Buyer's guide: Resale values are quite high, expect to pay between €60 to €120 for an unlocked version. With a product number like this, you would expect the Nokia 5000 to be something special. 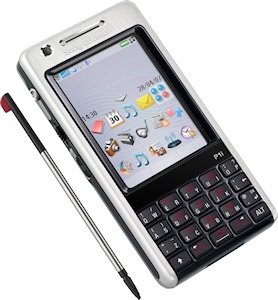 A good-looking and inexpensive device, one of the key features was that it had an MP3 player. But with no expandable memory and just 12MB of internal storage, you could probably only fit in about three tracks which was a bit useless. And you also had to be careful about how many photos you took with the 1.3 megapixel camera too. Adding a microSD slot would have transformed the product, as it was it was almost completely useless. 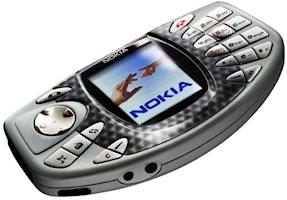 Buyer's guide: if you collect chocolate teapots then the Nokia 5000 might be the phone for you. Good ones can be had for next to nothing.